Growing up with Sunway Lagoon, I've just finally realized that I and Sunway Lagoon were born in the same year! No wonder we have so much in common, ex: fun, entertaining, exciting and so much more. HAHA. Ok, I'll give in to Sunway Lagoon this time around as they've just recently turned 25 on the 11th November 2017 (also known as singles day). Sunway Lagoon has hosted many memorable events, such as the MTV World Stage Malaysia, International events, and Campaigns just to name a few. To celebrate the occasion, did you know that Sunway Lagoon has brought smiles to over 20 million visitors throughout the years? This definitely calls for a celebration! I am so blessed to be invited to be a part of their birthday bash with Sunway Lagoon friends and other media friends to witness their most recent collaboration with talented local artists, Caprice, Mimi Fly and Kaka Azraff to create a song about Sunway Lagoon's milestones dubbed "Experience it". Lucky enough, during the party, they premiered the music video and song, and it really symbolizes what Sunway Lagoon has grown to become, a wonderland filled with smiles and laughter for many from all around the world. We had amazing food fit for a king and we were also entertained with an inaugural volcano show titled as 'The Tale of Mount Berapi'. 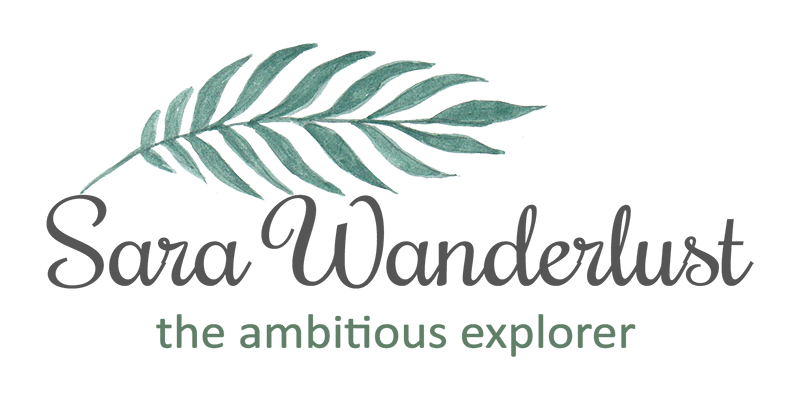 The tale tells a story of a girl possessing a hidden power and her quest to seek an enchanted lava stone located on an isolated island protected by devoted locals. The show holds pride as its the first production by the theme park from the script, talents, musical scores, choreography and costumes. I must admit that the show was very entertaining as it ended the night with a display of fireworks coming from the Sunway Lagoon centerpiece volcano. It's not every day you get to see fireworks coming from a theme park right? 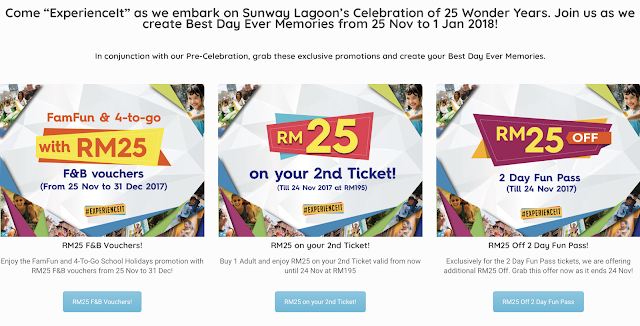 I'm sure that if you've been to Sunway Lagoon, everyone will highlight different memories that they can recall of, including Caprice, Mimi Fly, and Kaka Azraff. I remember when Sunway Lagoon only had a wet park and dry park when I first visited Sunway Lagoon, and now, to see that they have 6 theme parks, they have really made it far in the theme park industry. It's no wonder that Sunway Lagoon has won awards from various categories each year. Just to name their few recent awards, the theme park has won the family theme park category, regarded as the Oscars of the local hospitality and tourism industry and also being named 'Brand of the year' in Kensington Palace's World Branding Awards. Need I say more? 27th Nov onwards: For 5 weeks, guest can collect 5 different Limited Edition 25 Wonder Years button badges from Monday-Friday upon purchasing 1 Sunway Lagoon Adult ticket (walk-in only). Psst: Guest can redeem ONE (1) Adult ticket in January 2018 when they present any THREE (3) badges at the ticketing counter. A picture is worth a thousand words, and Malaysians are invited to share their best memories of Sunway Lagoon through photos and stand a chance to win exciting prizes! All you need to do is post your photo on your Instagram account and hashtag #SL25Years and #ExperienceIt. Sunway Lagoon's transformation has brought so many smiles for the past 25 years and it continues to bring people closer to their best moments for years to come. Happy anniversary Sunway! Hope i could visit this place soon! Very nice. Happy 25th Anniversary to Sunway! So many great offer for this 2 months! Will make my visit soon.